The NFL schedules a series of pseudo-events throughout the year that draw great interest from fans, starved for anything football related. The release of the season’s schedule qualifies as one such event. 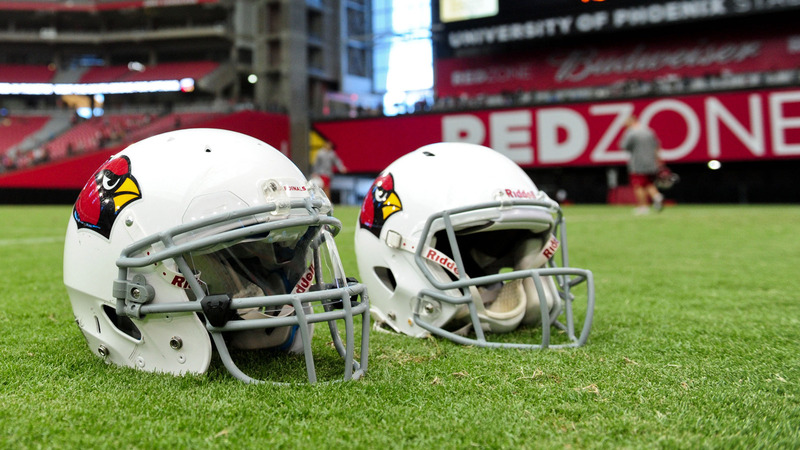 The Cardinals and their fans already knew their 2014 opponents. They already knew which ones they’d be playing at home and which ones they’d be playing on the road. The only shred of intrigue left was the actual dates. Cardinals road opponents: St. Louis (7-9), San Francisco (12-4), Seattle (13-3), Dallas (8-8), NY Giants (7-9), Denver (13-3), Oakland (4-12) & Atlanta (4-12). Cardinals home opponents: St. Louis (7-9), San Francisco (12-4), Seattle (13-3), Philadelphia (10-6), Washington (3-13), Kansas City (11-5), San Diego (9-7) & Detroit (7-9). Here’s a breakdown of the schedule, understanding that all analysis could be moot several games into the season because no league changes complexion faster than the parity-rich NFL. Kansas City, Philadelphia and Arizona rose from the ashes last season while Atlanta, Houston and Washington all fell from grace. The Cardinals play three prime time games. They open the season on Monday night against the San Diego Chargers. They play on Thursday, Dec. 11 at St. Louis and they host the Seattle Seahawks on Sunday Night Football on Dec. 21. One oddity has the Cards playing just one NFC West opponent (San Francisco, Week 3) in the first nine weeks of the season. Arizona makes up for it by closing the season with three straight division games. The Cards make their FIRST visit to the BRAND new Leviâs Stadium when they face the 49ers in the regular season finale. It will be third straight year and fourth time in the last five seasons that the Cards close the regular season vs. the 49ers. Tough luck: In the league’s annually rotating inter-conference system, the Cardinals face the AFC West this season. That division was the only one to place three teams in the playoffs last season (Denver, Kansas City and San Diego). That’s tough luck for a club that already plays six games a year against the NFL’s toughest division, the NFC West. Toughest stretch: The final four. The Cardinals play the Chiefs, Rams, Seahawks and 49ers. Easiest stretch: Weeks 6-9 when the Cards face Washington, Oakland, Philadelphia and Dallas. Only The Eagles posted a winning record last season. Most intriguing home matchup: Seattle. It’s a division game anyway, but these are the Super Bowl champs, it’s late in the season, it’s Sunday Night Football and the Cardinals were the only club to beat the Seahawks in Seattle last season. There will be blood. And maybe Skittles. Most intriguing road matchup: at Denver. Arizona was on the short list of teams QB Peyton Manning considered before joining the Broncos. There is some belief that the Cardinals disastrous offensive line was part of the reason he opted out. Or maybe he just wanted to work with John Elway and hang out in LoDo. Whatever. 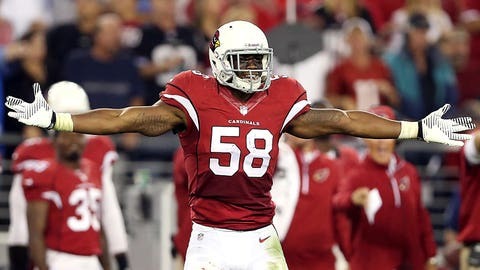 He’ll get a look at the Cards’ rebuilt O-line from the sidelines, and he’ll get a look at the Cardinals’ surging defense up close. Number of playoff teams faced: 8 (Seattle twice, San Francisco twice, Denver, Kansas City, San Diego, Philadelphia). Number of sub .500 teams faced: 6 (St. Louis twice, Washington, Detroit, New York Giants, Oakland, Atlanta). Number of top-10 rated QBs faced: 8 (Nick Foles, Peyton Manning, Philip Rivers, Tony Romo, Russell Wilson twice, Colin Kaepernick twice). Number of top-10 scoring defenses faced: 5 (Seattle twice, San Francisco twice, Kansas City).